Depending on the skills, background, and experience of a foreign national, there may be numerous employment-based green card and employment-based nonimmigrant visa options. Employment-based immigrant visas come in five different preference categories. Children and spouses may be able to accompany employment-based immigrants under federal law. Physicians, nurses, and other medical professionals who are seeking to come to the U.S. may be eligible for an H-1B visa if they have the appropriate level of degree for the job. Their sponsoring employer must pay them a salary that is comparable to the salary of similar American workers. Health care workers who are not physicians also generally will need to obtain a health care work certificate to establish their eligibility for a visa. Physicians looking to obtain a green card may also be eligible to apply for a Physician National Interest Waiver. Our Pittsburgh based immigration law firm is experienced in helping gather the required paperwork for visas and guiding foreign nationals and their prospective employers through the application process. The J-1 visa category may be used by professors, researchers, and people in similar fields who enter the country to participate in Exchange Visitor Programs approved by the U.S. government in order to get experience, study, or research in a particular field. Exchange visitors under the college and university category are allowed to be involved in postdoctoral research, academic training, or postsecondary programs. Professors also may be able to apply for an H-1B visa, an O-1 visa if they can show that they have an extraordinary ability in their field, as demonstrated by national or international acclaim, and employment based green cards. Foreign nationals working in the high-tech industry often apply for H-1B visas as well, since the demand for engineers in the U.S. is consistently higher than the number of American citizens in that profession. Engineers and computer scientists must show that they have a degree that is relevant for their position. If a foreign national is already working for a branch of an American company in their home country, they may be able to get an L-1 visa to transfer to an American office of the same company. Under the Immigration and Nationality Act, there are two types of family visa categories: immediate relatives and family preference. The former is based on having a close family relationship with a U.S. citizen. The latter is for specific but more distant relationships with a citizen or a lawful permanent resident. There are investor visas available. For example, in the EB-5 program, entrepreneurs from other countries, as well as their spouses and unmarried children under the age of 21, may apply for a green card if they make a certain investment in a commercial enterprise in this country and plan to preserve or create 10 permanent full-time jobs for qualified U.S. workers. If you are a citizen of a foreign country who wants to come to the U.S. to study, you will need a student visa. What you are studying, as well as the type of school that you are planning to attend, determines which type of visa you need. In addition to J-visas, there are F-1 and M-1 visas potentially available. Our Pittsburgh firm can advise you on which options may be suitable for you. There are many types of visitor visas, and the purpose of your visit will determine which ones you may be eligible to pursue. People traveling to the U.S. for pleasure or a vacation may be eligible for a B-2 visa, for example. U.S. citizens have a number of rights under the U.S. Constitution. Naturalization is the process of becoming a citizen if you were not born in the U.S.. To apply for citizenship, you must meet a number of criteria. You must be lawfully admitted as a permanent resident, continuously reside in the country for five years (three years if married to a U.S. citizen), have an actual physical residence, be physically present for at least half the period of continuous residence, have a good moral character, and understand the fundamentals of U.S. government and history, among other qualifications. Asylum is a type of protection given to refugees already in the U.S. or at the border. A refugee is someone who is unable or not willing to go back to their home country and who cannot get protection in that country because of past persecution or a reasonable fear of being persecuted due to their race, nationality, religion, membership in a specific social group, or political opinion. There are several possible paths to obtaining asylum, and we can help refugees navigate this challenging area. Although immigration court proceedings are considered less formal than civil litigation or criminal defense, it is critical to retain an experienced immigration attorney when faced with the possibility of deportation. We can take the time to get to know the facts of your case and determine whether there may be any defenses to the charges that the government is using to try to get you deported. For example, we may be able to argue for asylum, show that the charge against you is false, or help you present an application for cancellation of removal. We also represent clients in immigration litigation and appeals. People involved in a dispute with the U.S. government over asylum, deportation, removal, or another immigration matter should retain an experienced attorney. If you do not get the relief that you sought, having gone before an immigration judge, USCIS, or the Board of Appeals, we can evaluate whether it may be appropriate to apply for another form of relief or file an appeal. What sets Hartzman Law Firm apart from other Pittsburgh immigration attorneys is our commitment to customer service. We take pride in making sure our clients are completely satisfied with the quality of the legal services they receive. Rest assured that you will receive the best care and attention from Hartzman Law Firm. At Hartzman Law Firm, our customers’ satisfaction is always our number one priority. 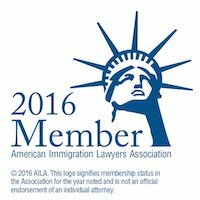 We practice immigration law because we love being able to help our clients solve their immigration needs. We understand that having to deal with immigration issues is an extremely stressful process that can have far reaching consequences. Therefore, we strive to provide quality legal services while providing superior quality customer service in the hope of diminishing our clients’ stress and anxiety as much as possible. Therefore, we make the following commitments to all of our clients. We know that when hiring a Pittsburgh immigration lawyer, you want your case completed as quickly as possible, while at the same time, not sacrificing quality. At Hartzman Law Firm, we promise to file your case as quickly as possible, while at the same time making sure your case is done correctly. When you retain our services, we provide a detailed timeline of when we estimate your case will be completed. We will do everything in our power to keep to this timeline. If for some reason the timeline changes, we will immediately notify you and provide you with an updated timeline. We will always be available to speak with you about your case and will answer any questions or concerns you have about your case in an effective manner. At Hartzman Law Firm, we believe that communication and availability are essential to an excellent attorney client relationship. Our main phone line is monitored 24 hours a day, seven days a week. Phone calls made to this number as well as emails are returned promptly so that you can speak to us when you need us. There will be no delays. In addition, we understand that United States immigration laws are complex and can be hard to understand. That is why, at Hartzman Law Firm, we spend extra time working directly with our clients to make sure they understand the law. From the first initial consultation until a case is completed, we continuously provide our clients with updates so that they understand exactly what is going on with their case and provide them with the information necessary to make important decisions about the direction of their case. Our principal attorney, Daniel M. Hartzman, personally handles all of our cases. 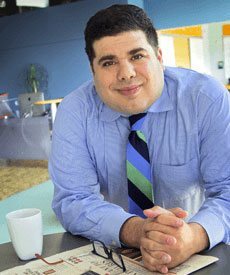 Daniel is an experienced immigration lawyer who is licensed to practice law in Pennsylvania, Virginia, and the District of Columbia. Daniel has successfully helped countless individual and corporate clients located throughout the United States and around the world solve their immigration issues. Daniel has successfully represented clients in federal court, before USCIS, ICE, the BIA, and numerous regional Immigration Courts. To view Daniel Hartzman’s profile in more detail, please visit his profile. 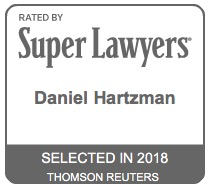 We Promise to Provide Superior Legal Services at an Affordable Price At Hartzman Law Firm, we understand that for many clients, legal fees can be overly expensive. That is why we strive to provide exceptional legal services at an affordable price. Our fees are easy to understand and the price that you are quoted is always the price that you pay. In addition, we provide several potential discounts including discounts for returning clients and contracting for multiple legal services to make our services even more affordable. In addition, if you have trouble paying our fees, we can work with you on developing a payment plan. Our passion is immigration law and helping our clients successfully fulfill their immigration needs is our number one priority. To learn more about how Hartzman Law Firm can help you today, please call us at (412) 495-9849 or fill out a contact form online. We offer free consultations in person, by phone, and by secure video conferencing. Weekend consultations are also available by request. Call us! We are here to help you! We serve clients throughout Pennsylvania including those in the following localities: Allegheny County including Pittsburgh, McKeesport, Mt. Lebanon, and Penn Hills; Armstrong County including Kittanning; Beaver County including Aliquippa, Beaver, and Beaver Falls; Butler County including Butler, Cranberry Township, and Slippery Rock; Fayette County including Belle Vernon, Connellsville, and Uniontown; Greene County including Waynesburg; Indiana County including Blairsville and Indiana; Washington County including Canonsburg, Monongahela, and Washington; and Westmoreland County including Greensburg, Irwin, and New Kensington. We also serve clients throughout Eastern Ohio and West Virginia.